﻿﻿Body work date back to the dawn of humanity and many different styles of body manipulation have developed. All with the aim to release dis-ease and chronic patterns of tension in the body; from musculoskeletal to emotional problem. The body operates as a total integrated system so just treatment of the site of pain in most cases is not sufficient. 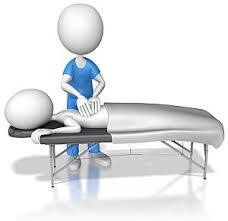 The immediate and long-term benefits of massage are numerous and depend on the individual. some Benefits of regular massage? Assist with shorter, easier labour for expectant mothers and shorten maternity hospital stays. Getting a massage can do you a world of good. And getting massage frequently can do even more. This is the beauty of bodywork. Taking part in this form of regularly scheduled self-care can play a huge part in how healthy you'll be and how youthful you'll remain with each passing year. Budgeting time and money for bodywork at consistent intervals is truly an investment in your health. Consider massage appointments a necessary piece of your health and wellness plan, and work with your practitioner to establish a treatment schedule that best meets your needs.